We have a range of products specifically designed to help retailers and businesses quickly and effectively validate both types of paper and polymer bank notes currently in circulation. New methods of counterfeiting currency are always on the rise, forcing businesses to be extra vigilant and introduce effective methods to prevent financial loss. 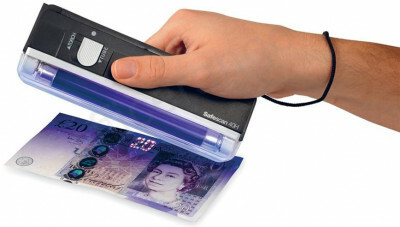 The Counterfeit Detector Pens are a low cost, effective way to validate banknotes and detect forgeries. Suitable for use on a wide range of currencies, the pen will leave a dark mark on the note to indicate forgeries. When notes are genuine, the mark made by the pen remains invisible.